The US Federal Reserve (FR) has raised interest rates by 0.25 per cent for the first time in nearly ten years. While a quarter of a per cent mightn't sound like much, the move is likely to have big implications for both British SMEs and the global economy as a whole. Only a matter of weeks ago we reported that UK SMEs were able to draw a 'sigh of relief', as it looked the Bank of England (BoE) wouldn't increase interest rates until next year. However, the US Federal Reserve's December 16th announcement throws this issue into doubt once again. The FR's decision is based on observable improvements in the US labour market and a belief that inflation rates will return to target. In response to this changing environment, the FR thinks the time is right to start normalising interest rates. News of the FR's decision prompted mixed responses around the world. The Economic Times in India expressed concern that the increased rate would be detrimental to emerging markets with vulnerable currencies. David Blanchflower, a former BoE rate setter, described the increase as "fingers-crossed-and-hoping economics." On the other hand, the New Zealand Herald welcomed the news as confirmation that confidence is finally returning to the world's economy in the wake of the financial crisis. What are the implications for British SMEs? Our previous posts on this topic acknowledged British SMEs' concerns regarding a possible increase in domestic interest rates, as a hike would lead to higher loan repayments and rising costs across the board. While the BoE's governor Mark Carney has said that an increase in US rates won't necessarily prompt the UK to follow suit, it remains to be seen whether this actually holds true. 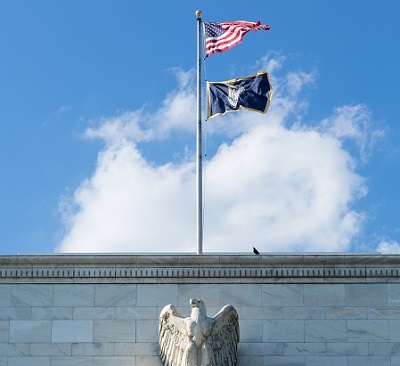 Many commentators believe the US move will put irresistible pressure on the rest of the world to raise interest rates sooner rather than later. SMEs will certainly be hoping that the FR's actions do not affect the UK, but in any event, ethical Enforcement Agents such as Dukes Bailiffs can help small businesses prepare for the worst by securing predictable cash flows. If you work for a small business that's hoping to build up a cash cushion and improve liquidity, speak to one of our a member of our team today. Newer PostIs UK commercial property bubbling along? Older PostHow will the Heat Network Regulations affect commercial landlords?